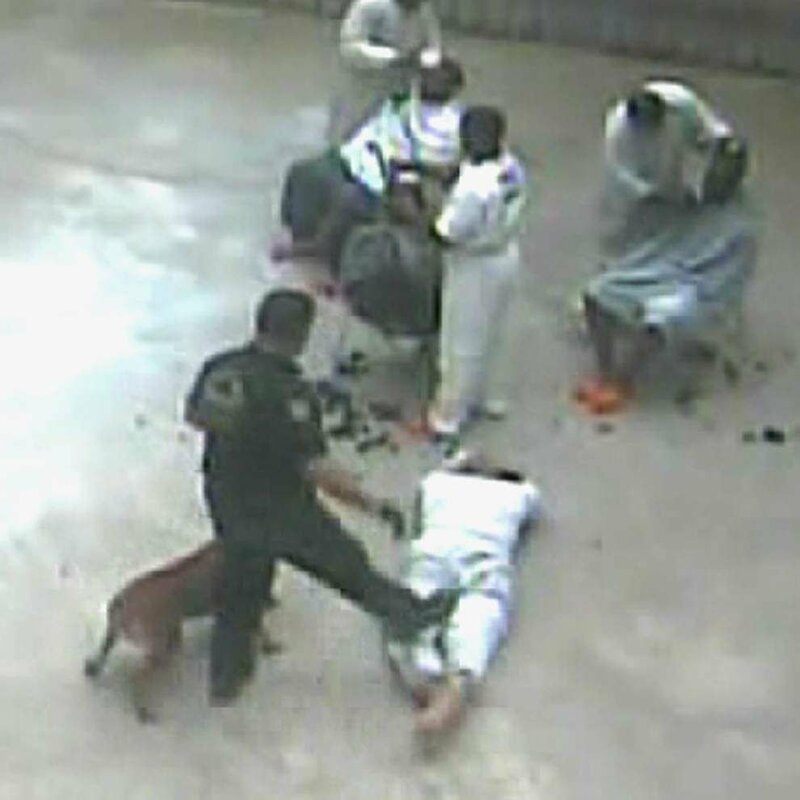 Inmate Marcus Robicheaux was attacked by a police dog and kicked by Iberia Parish Sheriff's Deputy David Prejean on Dec. 6, 2012, as this video captured by jail cameras shows. Robicheaux filed a lawsuit complaining of his treatment, but it went nowhere. However, the videotape was recently subpoenaed by federal authorities. Prejean was fired in January, shortly after top officials in the Sheriff's Office say they became aware of the tape." The deputy in the video, David Prejean, filed a report on the incident shortly after it happened, but his written account clashes with what the video depicts. Iberia Parish Sheriff Louis Ackal said Prejean was fired in January after officials finally viewed the footage, more than two years after the incident occurred. A federal grand jury has subpoenaed the tape as part of an investigation into abuse of inmates at the jail, Ackal said. Sources with knowledge of the probes told The Advocate that federal authorities also are investigating other alleged episodes of abuse at the jail. The investigation into the attack on Robicheaux is at least the third federal probe into the Sheriff’s Office the FBI has opened in the last three years. The FBI declined to comment for this story, as did the U.S. attorney for the Western District of Louisiana, which includes Iberia Parish. Ackal said he has not watched the video himself, nor does he plan to. But his top aide, Richard Hazelwood, has seen it and said there was “no justification whatsoever” for the attack caught on the tape. “Once we became aware of it, and the extent of the issue, immediately action was taken,” Hazelwood said. According to records, Robicheaux was in jail awaiting trial on several drug charges. An incident report drafted by Prejean describes Robicheaux as resisting his commands to “stop looking” at him, then ignoring further commands to lie down on the ground so he could be handcuffed. He also wrote that Robicheaux cursed at him to another inmate. The video, which has no sound, shows Prejean crossing the jail’s recreation yard and pulling Robicheaux to the ground. Robicheaux said Prejean ordered him to stay still. A second officer, seen in the video, also threatened him, he said. “The other officer said that if I moved, he’d have his dog attack me too,” he said. The identity of that officer is unclear. Maj. Ryan Turner, spokesman for the Sheriff’s Office, said officials are still gathering information on the incident and cannot yet identify the officers pictured in the video. Prejean’s report on the incident said that in addition to ignoring commands, Robicheaux “rocked up” and tried to strike the police dog “with his right hand.” The video does not show Robicheaux “rocking up” or trying to hit the dog. “In a quick reaction, I gave Robicheaux a leg strike to Robicheaux’s left side and attempted to roll Robicheaux onto his stomach and into a prone position so he could be handcuffed,” Prejean wrote. The video shows that Robicheaux remains on his stomach as the officer strikes him with fists, knees and feet. There are two separate occasions when the dog attacks Robicheaux in the video, one early in the footage and one later. The Advocate showed the video to a senior law enforcement official who previously worked for the Iberia Parish Sheriff’s Office. Based on his experience, he said, it seems that in the initial dog attack, it’s more likely that Prejean lost control of the dog than that he ordered the dog to attack. “It looked more like the dog was trying to protect the handler,” said the former official, who spoke on the condition of anonymity. But he was most troubled by what happened after the dog’s initial attack. The extent of Robicheaux’s injuries from the attack is unclear, but Prejean’s report notes that he was taken to the jail’s medical unit after he was handcuffed and escorted from the yard. In an interview last fall, while he was incarcerated in the Lafayette Parish Correctional Center, Robicheaux held up his forearms to show off scars he says are from dog bites. Robicheaux told The Advocate he spent at least four months in solitary confinement after the incident. In 2013, he filed a lawsuit over the attack, but, like many civil complaints filed by inmates who represent themselves, it went nowhere — though it did prompt a response from the Sheriff’s Office. Robicheaux’s attack is also at the center of a civil suit former Warden Wesley Hayes filed against the Sheriff’s Office last fall in the 16th Judicial District. In the suit, Hayes alleges he was fired from his post for attempting to report misconduct and corruption in the Sheriff’s Office. In documents filed in the case, Hayes contends he submitted a report of the incident, as well as the footage, to at least two high-ranking officers in the Sheriff’s Office — but not Ackal — and that they took no action. During an interview, The Advocate asked Ackal to view the footage, but the sheriff declined, citing pending litigation and the federal investigation. Clayton Burgess, a Lafayette-based attorney representing Hayes in his whistleblower suit, said his client submitted the video through the proper chain of command — and that the video had been retained in the jail since the day of the incident. “He followed the chain of command, and the evidence in the record verifies that’s what he did,” Burgess said. Last year, Robicheaux pled guilty to possession with intent to distribute cocaine and was sentenced to five years probation with credit for time served. 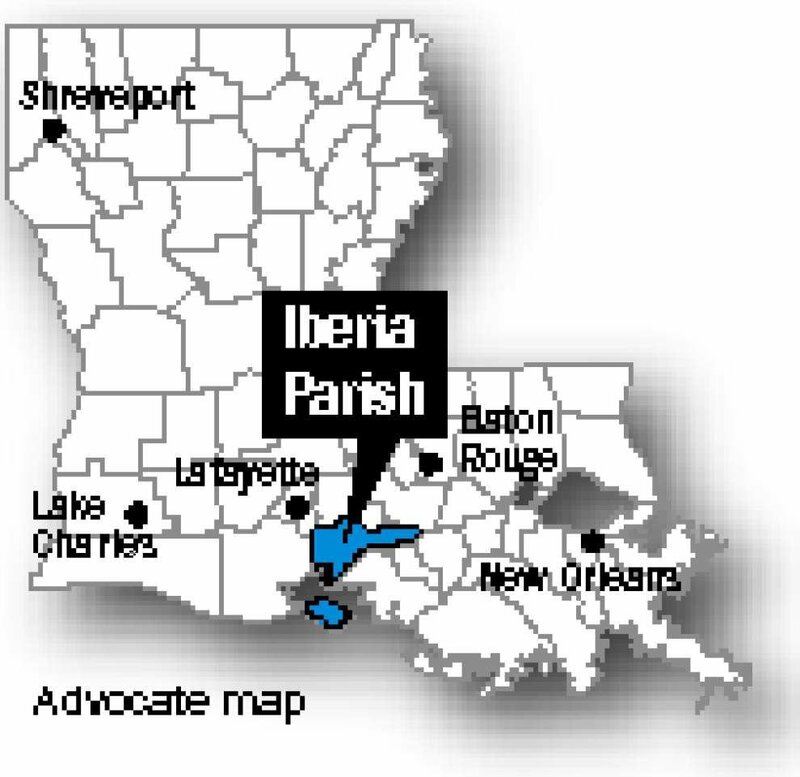 Prejean is named in at least three pending civil suits aimed against the Iberia Parish Sheriff’s Office that claim deputies used excessive force. Two of the suits stem from a single incident in which officers were attempting to disperse residents celebrating the 2013 Sugar Cane Festival. Last month, a former deputy, Cody Laperouse, pleaded guilty to a misdemeanor federal civil rights charge for using excessive force against a handcuffed man in the same incident. According to Ackal, Prejean had never faced any internal investigation before he was terminated in January. Prejean could not be reached for comment. Federal authorities are also still investigating the death of Victor White, the 22-year-old man who died from a gunshot wound he received while handcuffed in the back of an Sheriff’s Office patrol car last year. His death, ruled a suicide by the Iberia Parish Coroner’s Office, prompted the U.S. Attorney’s Office for the Western District of Louisiana to investigate the case. That probe is ongoing. It is unclear how many other incidents in the jail beyond the attack on Robicheaux authorities are investigating. Sources with knowledge of the case told The Advocate that investigators have deposed at least one other former inmate regarding a separate incident. Ackal oversees about 300 employees, including corrections staff. When he took office in 2008, he said, the jail was in a sorry state, physically and otherwise. Inmates suffered from staph infections. Locks didn’t work. Since then, Ackal said, he has made numerous improvements to the jail and the force he oversees — including the purchase early this year of 100 body cameras and the prosecution of many deputies for smuggling contraband. Staff writers Jim Mustian and Richard Burgess contributed to this story.